A permit is not always needed to use or develop land. Preparing your application. 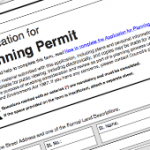 Amending a planning permit. Permit Types. List of the most frequently asked questions asked about planning matters.